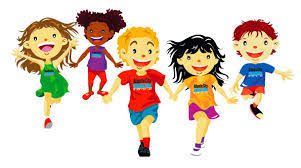 Run club takes place straight after school at the gravel field on Wednesdays. Please allow a few minutes for the facilitator to arrive after picking up her own children. Parents should be with their children as the facilitator is not able to monitor all of the children on her own. If you feel that your child is mature enough to find their own way there without a parent, please be aware that the facilitator will not be keeping track of their comings and goings. They can only keep track of the laps run. Any cancellations will be communicated via email and announced by the principal.